= for more action, check the B&H Shop Early, Save Early sales. 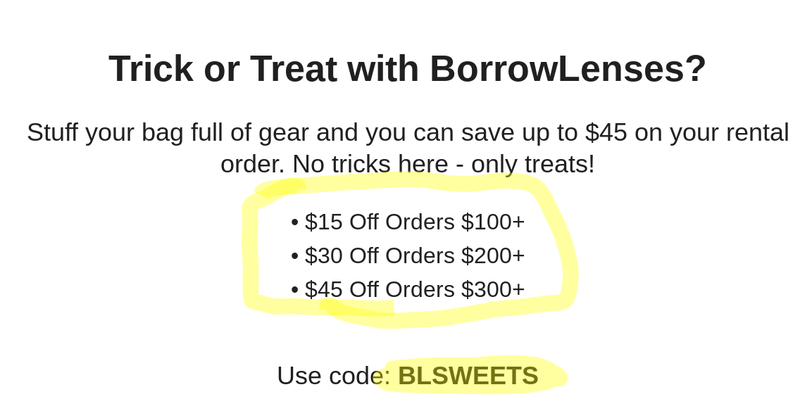 Remember, Black Friday comes earlier in the month this year! Since the last time we mentioned it, CreativeLIVE added ten more classes to their Photography Sale with each class going for $15 each with lifetime access. Among the ten new classes, there’s one that’s “Pricing and Sales for Photographers” [important when it comes to paying bill$], Instagram audience growth, Children & Family photography, baby photography with Anne Geddes, animal photography and more! + the time is right to start that photography (or other topic) podcast you always wanted! And now some learnings! Creative LIVE is running a new limited time sale featuring 15 photography classes going for $15 each with lifetime access. Topics include lighting, composition, real estate, beginners, lightroom, histogram, posing, storytelling, second-shooting, etc. Too many to list here individually, but Adorama is running their own Photo Plus Expo 2018 special offers, featuring a mix of cameras, lenses, photo gear and accessories, computers, Lexar, Sandisk, etc. PS: speaking of M43rds and the EU, the previously mentioned used Panasonic GF7 with 12-32mm for 255 euro continues to be available at Amazon Germany Warehouse Deals. Let us not forget the eBay Deals du jour, where if 1TB is your preferred external hard drive storage size, the official Western Digital (WD) eBay store is offering manufacturer refurbished 1TB WD Elements portable HDDs for $35 with free shipping, a 6-month warranty and 39 day returns. Up to three units per customer during this sale, which also has an automatic built-in small volume discount: if you buy two, you pay $33.24 per unit or if you buy three, you pay $31.49 per unit. 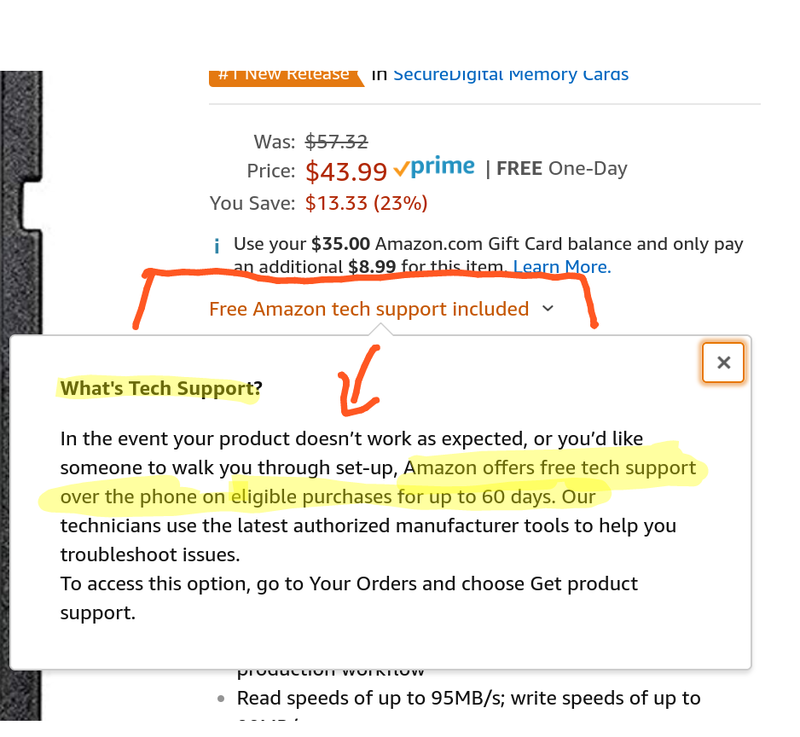 Sometimes Amazon works in mysterious ways! 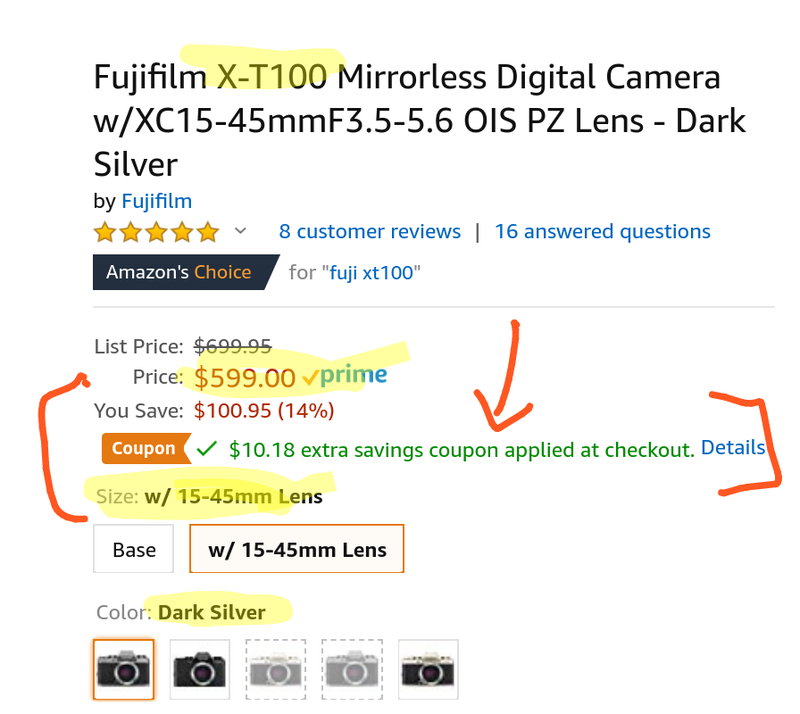 As of the time of writing, there is a $19.18 off coupon specifically for the dark silver color scheme of the Fuji X-T100 with 15-45mm XC, dropping it from the standard price of $599 to $588.82.